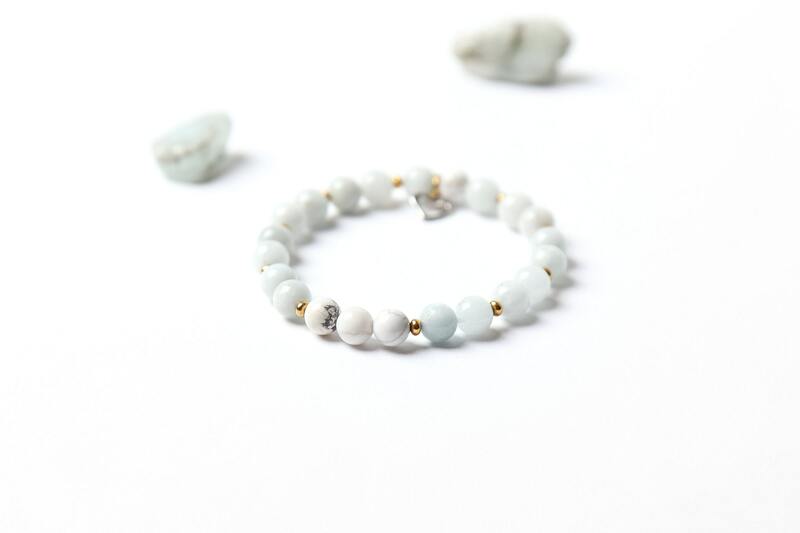 Bracelet semi-precious aquamarine and howlite gemstones on elastic thread. Two-tone blue and white. Handmade with love in Montreal. A gemstone for courage. Calming and healing for the mind, it's also a stone that is stress relieving. Great communicator too, this semi-precious stone enhances self expression. Intuitive, she is a great ally for meditation.